Charming spacious detached 3 bedroom stone property. Walking distance to village. Ready to move into! This delightful property is well presented and has been completely renovated. It would make . . . This property is nestled in a small hamlet in the Normandy countryside. It benefits from . . .
Charming detached 3 bedroom stone property with garden. Renovated detached 3 bedroom property situated in a small hamlet. Walking distance to village with bar and bakers. This property benefits from full double glazing and aero thermal under floor heating . . .
Large, versatile family home in the centre of popular Mortain within walking distance of all amenities and schools. Stunning views. Imposing stone house with six bedrooms in an ideal small town location. Easy to access . . .
Roomy detached cottage with outbuildings in half an acre. Close to Mortain. 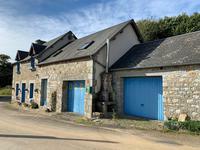 Three bed cottage with good sized garage and workshop in 2000m2 of land. The town of Mortain . . .
Gorgeous country bungalow in quiet hamlet less than two km from the village of Notre Dame du Touchet with all amenities. Detached renovated three bed bungalow and separate stone barn and wood shed/workshop. Very . . . Recently refurbished, it benefits from double glazing, oil central heating, two wood burning . . . This lovely family home stands in a quiet rural position with beautiful views of the . . .
Four bedroomed house with scope to extend and develop on the edge of a pretty village with . . . Character detached 5 bedroom property with spacious grounds of just over an acre. Great for B&B or large family home. 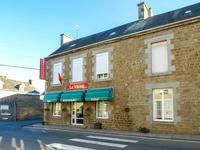 This delightful property is situated approx 10kms from the town of Mortain with all . . . Pretty detached family home in secluded setting with 2 hectares. No close neighbours. Mortain less than 5km. Recently renovated, spacious four/five bed house with several large outbuildings in 5 acres . . . Spacious bar/restaurant being sold as a going concern. Spacious banqueting hall increases the . . . 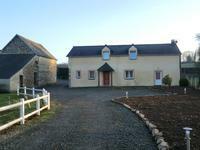 Comfortable house which has been in use as a gite and has all amenities to move in . . .